Niharika and Rahul Vijay’s upcoming romantic comedy, Suryakantam, is hitting theaters on March 29. The film marks noted US distribution house Nirvana Cinemas’ foray into film production. The film is directed by debutant Pranith Bramandapally. 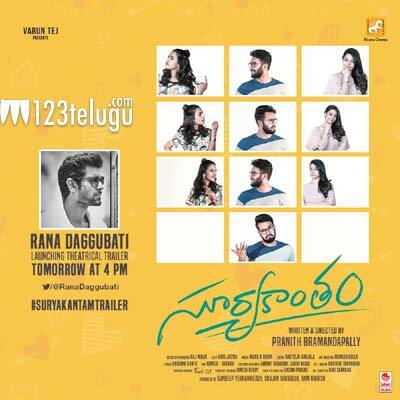 As per the latest updates, hero Rana Daggubati will be unveiling Suryakantam’s theatrical trailer tomorrow at 4 pm. Mark K Robin in the film’s music composer. Niharika’s brother and hero Varun Tej is presenting the film. Perlene Bhesania and Suhasini will be seen in crucial roles in the movie.